The dating process can be hard to tackle. It’s hard to know the right moves to make on the first date, or even where to spend that first date. You want to ask questions, but you don’t want to come across as silly or creepy. You want to look good and make the right impression. There are so many things to consider about a first date. Those details become even more tedious when you’re planning a date with someone in a wheelchair. You have to consider their limitations when making arrangements. You want to make a better impression and not ask silly questions that make you look insensitive. But, you also have a natural curiosity that pushes you to ask those same questions. Then, of course you might consider the stares you’ll get while on a date with a wheelchair user. All of this is, undesirable. At the same time, you don’t want to be a jerk who judges someone based on their restrictions. You want to give your date the same chance you would give anyone else. You want to get to know them. 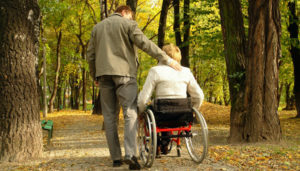 There are some great ways you can get to know your date with a wheelchair. You can go to a simple cafe with low-rise tables and talk for hours. Or, you could go to a wine tasting and spend some quality time unwinding. Once the two of you start talking, you’ll feel more comfortable approaching the subject of the wheelchair. It’s natural progression. You’ll have a better understanding of their personality regarding the wheelchair as well. If they are making jokes about it, you’ll know it’s alright to ask questions. Of course, you want to be sensitive about what you’re asking. There are many other great places you can take your date with a wheelchair. There are many sporting events or festivals that your date might enjoy going to. Though, they are a little loud and usually full of people. So, that might be a better idea for a second date. You could go to a museum or to the movies. Or even plan a picnic in the park. If you do this, you’ll want to know that there is a bench your date will be able to sit at. 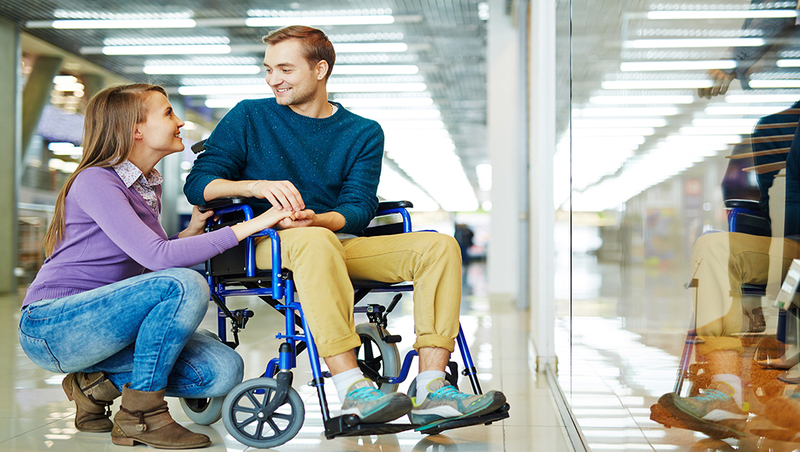 When you’re planning a date with a wheelchair user, you want to consider their comfort above all else. You don’t want to take them somewhere they won’t be comfortable. For this reason, asking your date where they want to go is always a good idea. Since accessibility is an issue for them, knowing the location ahead of time gives them a better chance to plan. They can find out what major intersections the date is taking place near. They can see how close they are to a friend or family members home. This will make them feel more comfortable. Planning your date with a wheelchair user is actual the easy part. The hard part is seeing past the wheelchair. It’s fine to think you can date someone in a wheelchair. You definitely can. But you’re likely to drive yourself crazy with nerves. The best advice anyone can give you is to relax and be yourself. If you’re nervous, you’re going to make your date nervous too. Try and remind yourself that your date is likely more nervous than you are. So, help them to feel more comfortable and just enjoy your time together. Copyright © 2019 Wheelchair Dating Club. And Meet Wheelchair Singles Now!